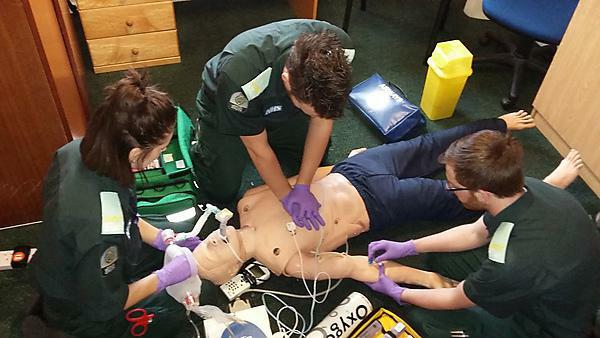 A group of paramedic students from Plymouth University have made a website to help newcomers to the profession revise their life-saving techniques. The comprehensive videos and tutorials on parameddjr.co.uk can also help students decide whether a career as a paramedic might be for them. The idea was the brainchild of third year students David Williams, Maisie Grainger, Emily Haydon, James Gardner, Rachel Clarke and Deborah Kelly - whose first initials combine to make the latter part of the web address. The team said they put it into action to help students like themselves with revision and practical learning, as no such resource currently exists. Third year student David led the project, and is delighted that the site has already received thousands of hits and even interest from across the Atlantic. He said: “If we want to look up certain techniques, we very often have to look at medical websites for doctors and nurses. But the fact is that,because paramedics are working immediately and in a domestic setting – or occasionally, more challenging than that – things have to be adjusted a little differently. “The videos are very simple – we record them in our training area, simulating situations which a paramedic might encounter, then add relevant subtitles before putting them online for people to see.